Even when I am not photographing weddings, I still view venues through a camera lens, or an imaginary lens anyway from a photographer’s viewpoint. Couples having a London wedding are spoiled for choice because there is an endless selection of picturesque wedding venues in London. Here are ten of the best. Step back in time as you walk down the aisle at Eltham Palace. The buildings and gardens are managed by English Heritage and feature a stunning Art Deco house decorated at the height of 1930s design fashion, as well as a magnificent great hall that was part of Henry VIII’s childhood home. Its warm brick and stone walls, gardens that are a riot of colour and interest, and amazing interiors that were created to impress, are the ideal backdrop for fantastic wedding photos. You can’t escape the sense of purpose and history of Drapers Hall. As you walk along the impressive oak panelled entrance hall, or pose on the sweeping alabaster staircase, or dining by candlelight in the Livery Hall, it adds feeling of weight and significance to this important occasion. The beautiful décor includes a wealth of paintings and statues, and a lovely garden and stone courtyard. Occupying a slice of prime Mayfair real estate, Dartmouth House wows from the word “go”. Soft colours and opulent touches make the interior the ideal backdrop for your big day. The sweeping staircase is perfect for making a dramatic entrance, while high ceilings and enormous windows allow natural light to flood in. The Roof Gardens are a slice of Eden in the centre of a vibrant city, offering fantastic views and comfortable, contemporary decor. 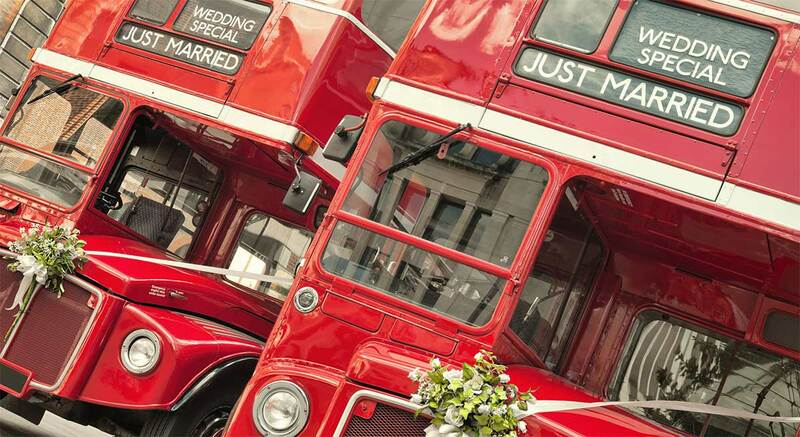 The central location makes it easy for guests to get to, and with an inside room that is licensed for civil ceremonies and large enough for 150 guests, you don’t have to worry about getting from one place to another through London traffic. It may have only been completed in 2013, but The Shard is already an iconic feature in the London skyline. 34 floors above the city, Shangri-la Hotel is a chic setting for an ultra impressive celebration. Double height windows make the most of the unbeatable London views, while luxurious furnishings will leave your guests talking about your wedding for years to come. With its intricate plaster decorations, gleaming Art Nouveau mirrors, and a choice of rooms which seat up to 300 guests, the Old Finsbury Town Hall is the ideal wedding venue for couples who appreciate quality. There are dozens of places for wedding photos, and the entire building has a warm atmosphere to welcome you and your guests. Kew Gardens is renowned for its beauty and the endless places for taking incredible photos, and it is also home to several lovely licensed wedding venues including Kew Palace, and Cambridge Cottage. It doesn’t matter what the weather does, Kew Gardens always delivers! If you want a fabulous stage for the biggest opening night of your life, look no further than the perfect Georgian proportions of RSA House. The venue offers a choice of rooms which can accommodate up to 150 guests, in a variety of styles to appeal to every taste including the cosy rustic brick arches in the vaults, or the Great Room with its breathtaking mural painted by James Barry. The Grade I listed Parcel Yard boasts wonderful features that have been skillfully restored to create a welcoming atmosphere which suits a relaxed celebration. It couldn’t be easier for guests all over the country to reach as it is inside King’s Cross Station, yet it feels spacious and private, and as far from a modern train station as you can imagine. You can’t talk about London’s most picturesque settings without mentioning the River Thames. The Yacht London is an all-weather venue thanks to marquee sides which can be raised or lowered to make the most of the incredible views that take in Southbank, the Shard, Big Ben, and the London Eye.